Gilbane maintained a fast track schedule with detailed team coordination and communication including daily and weekly project meetings. Client Name: Reebok International Ltd.
headquarters to be healthiest workplace in the U.s.
220,000 SF spanning five floors and three building addresses. 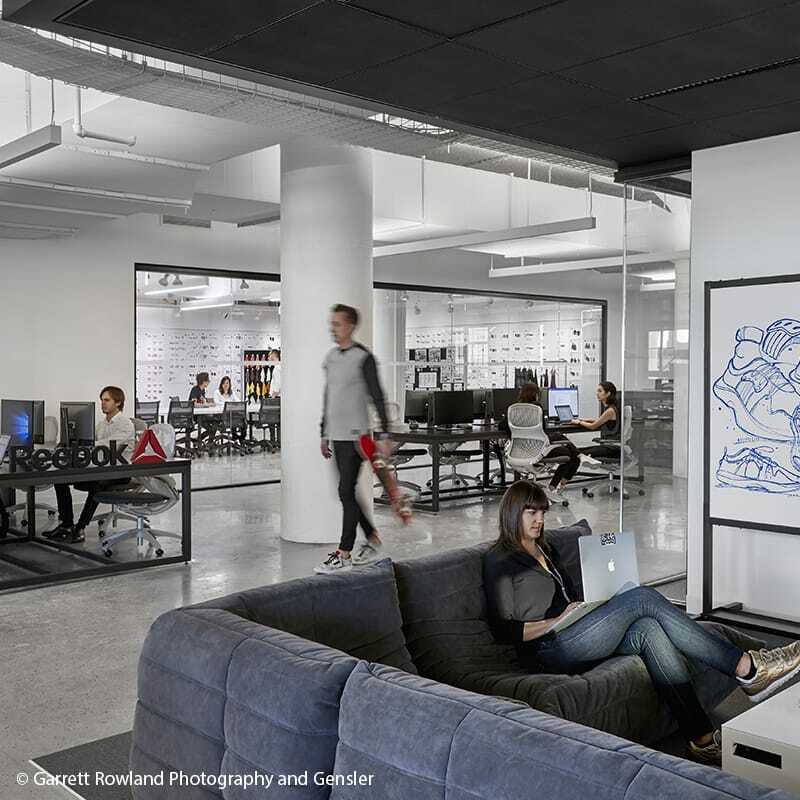 The new facility boasts vast office space, collaborative work areas, conference rooms, client showrooms, a two-story gym, a design lab, a production studio, and a retail store. 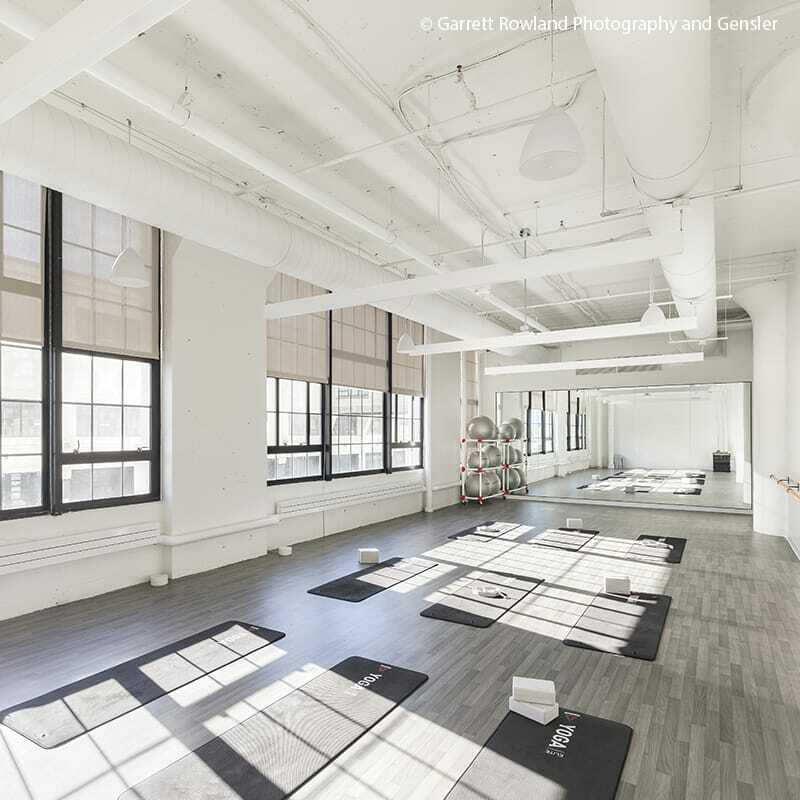 30,000 SF state-of-the-art gym comprised of a raised Cross-Fit floor, boxing ring, free weight and stationary equipment, and interactive classrooms for fitness, dance, yoga, and spin. With construction being completed in seven phases in various bays and locations throughout the Design Center, the project operated 24-hours a day, 7-days a week to ensure all phases were completed by December 2017. The Design Center remained fully operational throughout construction. To meet the pace of the fast-track schedule over 130-tradespeople were on site, with as many as 15 different trades working simultaneously during the peak of construction. Detailed coordination and communication was a priority throughout, with daily and weekly project meetings taking place to ensure all team members understood the work being performed. 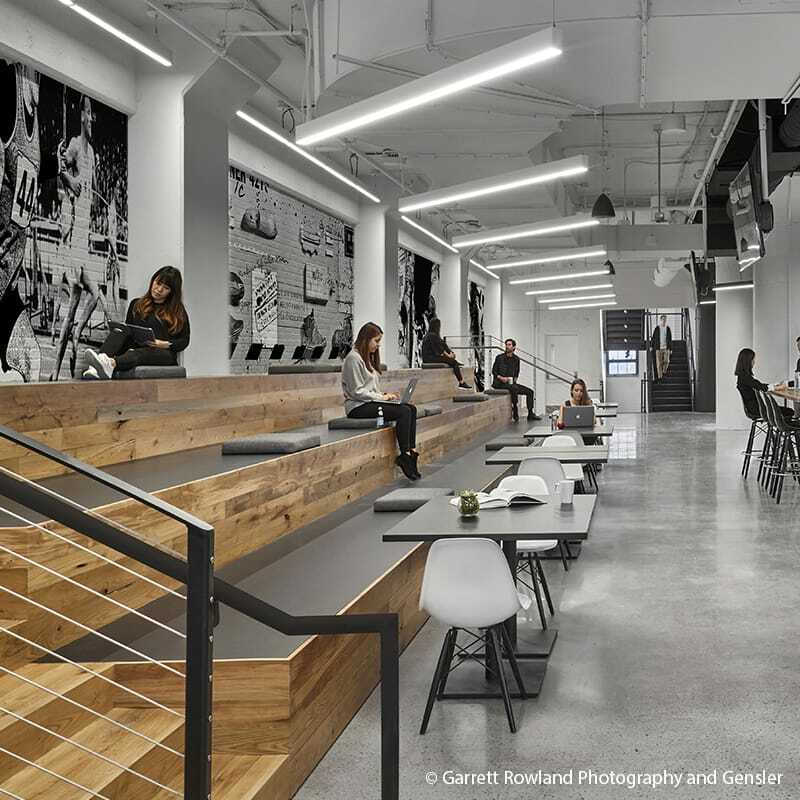 Reebok envisioned a space that promotes employee engagement and inspires creativity. Employee workstations are constructed in a hotel style, with an open layout employing minimal separation to promote collaboration. Conference and meeting areas in the center of each floor look out over the office through demountable glass partitions. The floor plan of the fifth floor spans the length of a football field, encompassing multiple bays at the Design Center. The Reebok Headquarter project has a goal of receiving LEED certification for its commitment to sustainable design. 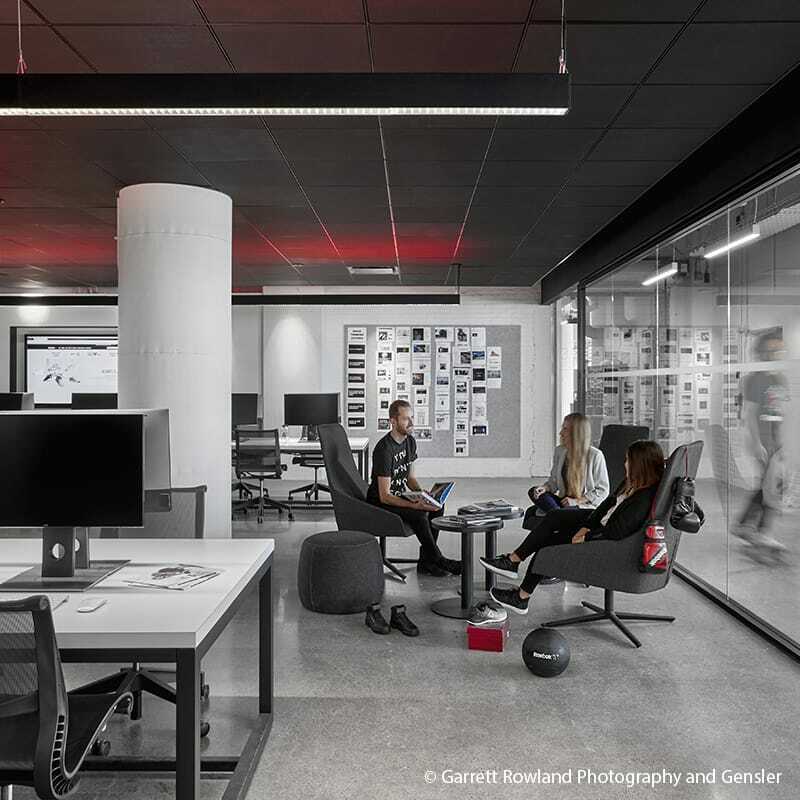 We presented Gilbane with a monumental task – to build a new home for Reebok in less than a year. This was an aggressive timeline and there is no doubt they nailed it. From the very beginning the team at Gilbane were committed to doing things exactly how we liked things to be done – fast and on budget. They have been true collaborative partners and we couldn’t be happier with our new home.